I bet that title caught your attention. 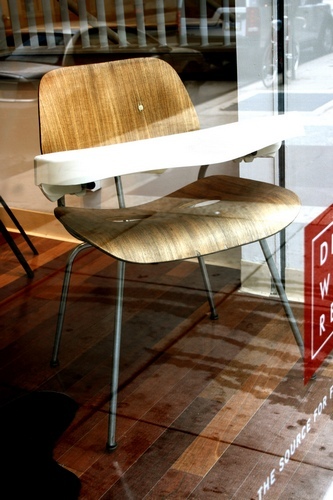 An Eames highchair – don’t we wish it were so. The Eames Hack project, started at the University of the Arts in Philadelphia, is far from a critique of Eames. Instead, it is a repurposing of some iconic pieces. 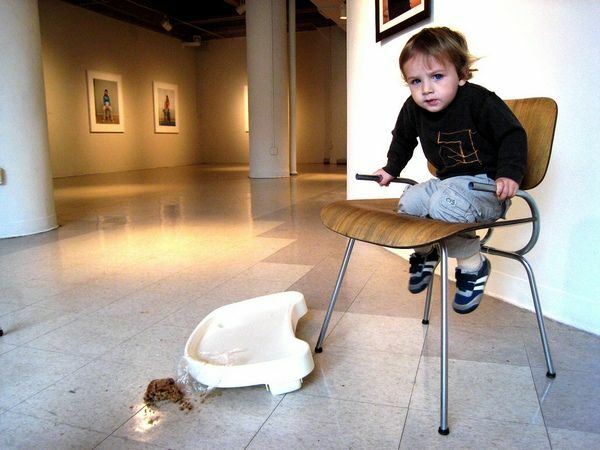 A team of five from the university’s industrial design department came up with the Eames Hack High Chair and the Eames Hack toilet seat – let us focus on the highchair! The leg holes are certainly unique – not a feature I have seen on other highchairs (and not sure how the chubby pins of my babies would have gone in this chair) – and it obviously gets full marks for style. 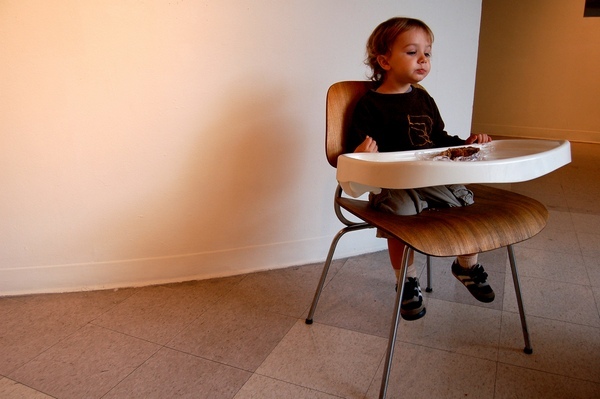 The Eames Hack High Chair is a concept piece and not for sale.